International Tank Service has the ability to build the vessels essential to your waste water treatment plant. We can fabricate and build Clarifiers and Digesters. Wastewater Clarifiers are highly efficient in removing heavy contaminant solids or sludge from the waste water. Commonly clarifiers are referred to as sedimentation tanks because the contaminants settle to the bottom of the tank. The basis on the design of a wastewater clarifier relies heavily on the surface area of the tank and the time the water is retained in the system. Wastewater Digesters are a process in wastewater treatment that involves anaerobic digestion. Anaerobic digestion occurs in the absence of oxygen when bacteria digest the residual solids and create methane gas which can be used for energy. 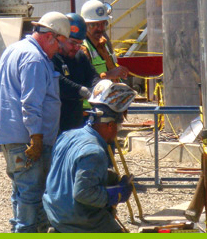 We can build standard-rate and high-rate digester tank systems. 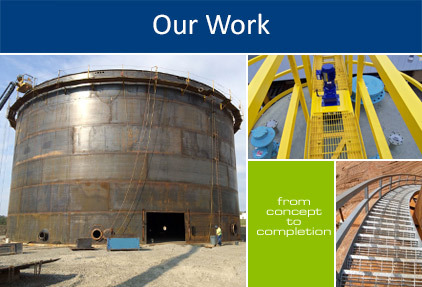 Let our skilled staff help you design, fabricate and build your next clarifier or digester and you will not be disappointed.